One of the hidden pearls of the Costa Blanca where you can buy a cheap property is Campoamor - Alicante - Costa Blanca (Spain) close to Orihuela, a city in Alicante. This is a residential area of a premium range that is surrounded by an authentic paradise. 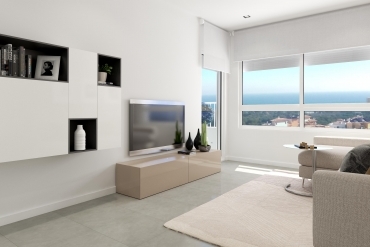 One of the best things about buying a cheap property in Campoamor - Alicante - Costa Blanca (Spain) is that it offers a fantastic natural environment. On one hand it has some of the best beaches in the area which are only a short distance away. All equipped with full cleaning services and lifeguard services along with parks and other leisure activities for both adults and children. The other natural attraction that the area is that it offers a lot of outdoor activities so buying a cheap property in Campoamor - Alicante - Costa Blanca (Spain) it excellent as it is close to the natural park `Sierra Escalona` and the `Dehesa de Campoamor`, that is used to provide a home to many protected animals and it has been conditioned so that those interested can do hiking and many other sporting activities. There are many bars, restaurants and commercial centres in this area as it is very touristy. But at the same time, being a European tourist destination means that a lot of them stay to live for the whole year, making Campoamor not only a destination for holidays but a place to buy a cheap property in Campoamor-Alicante-Costa Blanca (Spain). If you include in addition to the latter, the fact that the main cities such as Orihuela, Murcia and Alicante are less than an hour away by car, this destination is converted into one of the most complex choices when choosing somewhere to relax for a while or a place to be once you have retired. 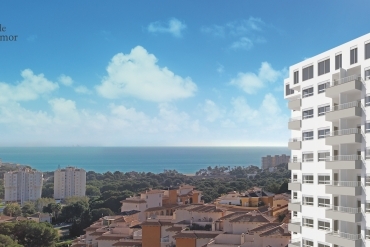 Don’t think about it anymore and buy a cheap property in Campoamor-Alicante- Costa Blanca (Spain). Trust Casas Espania, the only thing you have to worry about is relaxing.